When Superman was slain by the monster Doomsday, the secret underground super-science think tank Project Cadmus initiated a protocol it had been at work at for some time in an attempt to replace Earth’s greatest hero upon his death. While a clone of Superman had been attempted on several occasions, Cadmus blended the hero’s complicated Kryptonian DNA with that of a human (unbeknownst to them, Lex Luthor), creating a being with roughly half of Superman’s powers and abilities yet something Earth’s science was capable of producing. Their “Superboy” proved too immature to ideally replace Earth’s champion, but upon Superman’s return, he became a protege of the hero (in a role similar to Supergirl and Power Girl prior to the Crisis on Infinite Earths). In Young Justice, Project Cadmus is much more insidious, more akin to the Evil Factory (a dark version of Cadmus under Darkseid’s Intergang in the comics), operated by the Light. 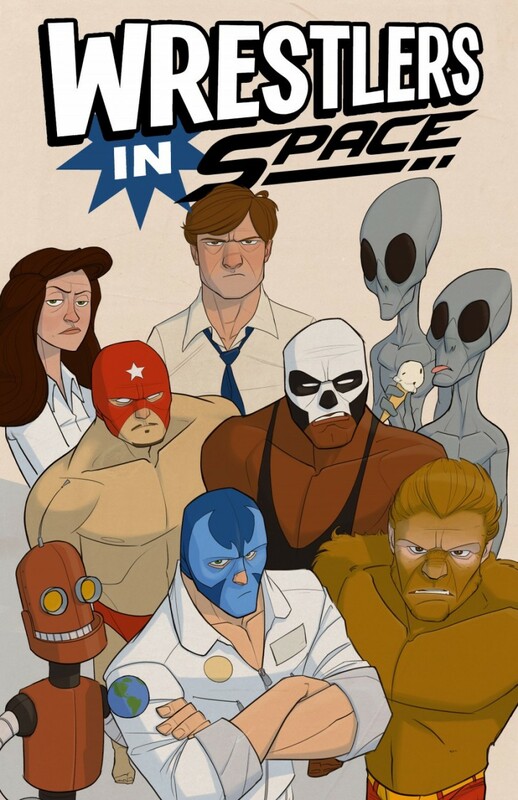 The antagonists of the television series, the Light is some variation on the Secret Society of Super-Villains, Mankind Liberation Front, and/or Marvel Comics’ Cabal counting Lex Luthor, Ra’s al Ghul, and Vandal Savage as members. While their Superboy was likely intended to be a weapon, he instead sided with the young heroes on their maiden mission and joined their group afterward. 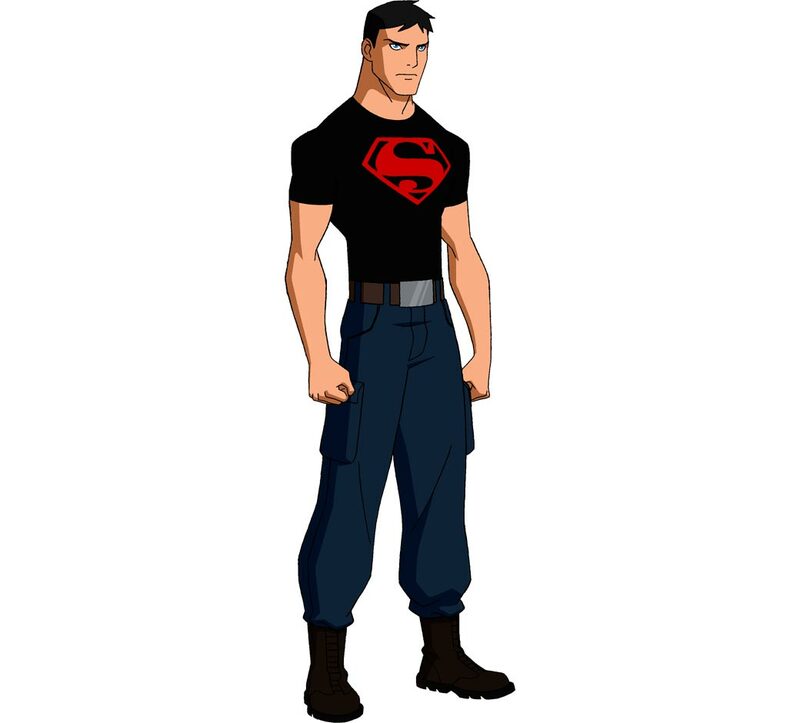 Taking the name Conner Kent, Young Justice’s Superboy is often reserved and brooding, likely from being an outsider from his years of solitude and his programming while at Cadmus, acting more like his comic book version during Geoff Johns’ Teen Titans where Superboy suffered through great tragedy and being virtually helpless despite his heroic parentage during the deaths of allies. Superboy is voiced by prolific voice actor Nolan North. Created by Geoff Johns during his Teen Titans run and named after the wife of his friend former Wizard Magazine staffer and Marvel Comics associate editor Ben Morse, M’gann M’orzz (Megan Morse, on Earth) is a White Martian that lived on Mars and was rocketed to the Vega star system to escape the civil war between her people and the Green Martians. 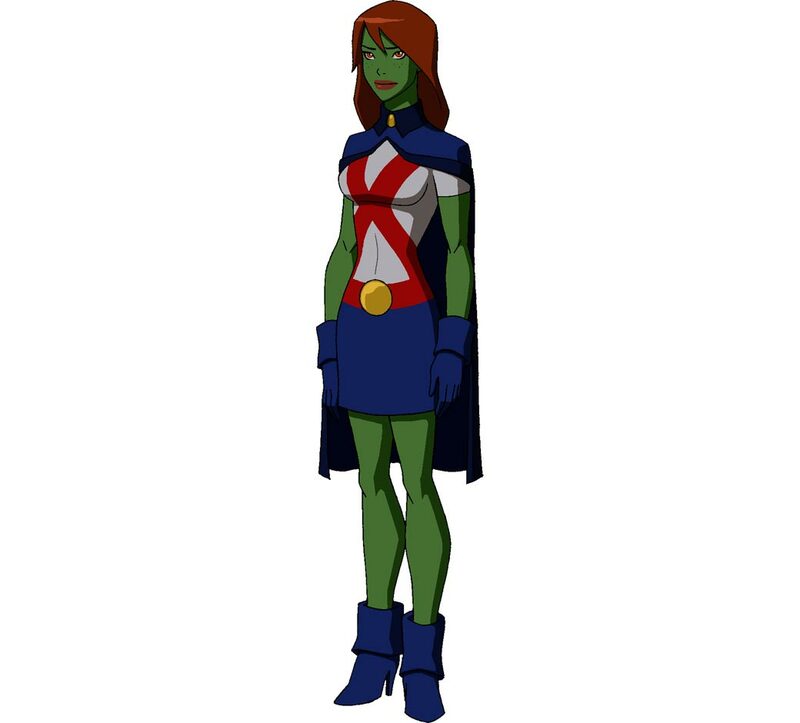 Through unknown circumstances, she arrives on Earth and masquerades as a Green Martian in a similar costume to the Martian Manhunter and joins the Teen Titans as Miss Martian. In Young Justice, Martian Manhunter claims Miss Martian is his previously unseen niece who comes to join the team after it was newly formed where she begins a romantic relationship with Superboy. Miss Martian is voiced by Danica McKellar (Winnie Cooper on the Wonder Years). Daughter of Golden Age super-villain couple Sportsmaster and Huntress, Artemis Crock became the mercenary Tigress and battled Hawkman and the Justice Society of America. 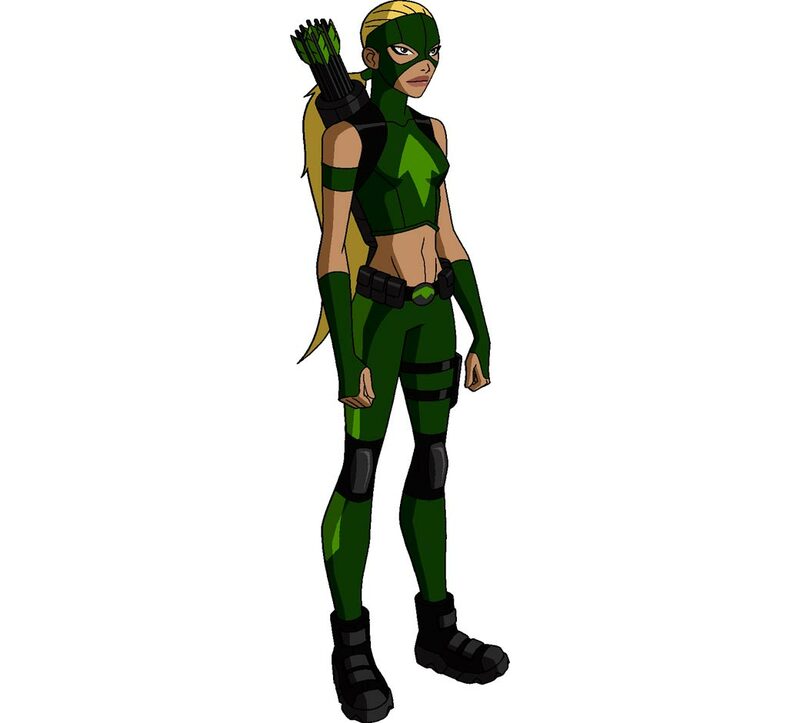 In Young Justice, after Roy Harper abandons his mentor Green Arrow and his fellow sidekicks to become Red Arrow, the Emerald Archer takes on Artemis as his protege. Green Arrow claims the heroine as his niece, Artemis is revealed to be the sister of the mercenary Cheshire (Teen Titans enemy and mother of Roy Harper’s daughter Lian in the comics). Artemis is likely a combination of two villains named Tigress, Arrowette, and the second Speedy. Paula Brooks was the Tigress, a heroine who adventured with the Young All-Stars as a hero in her teens before growing up to become the villainous Huntress and menace Wildcat before marrying the villain Sportsmaster (their daughter picking up the Tigress identity). Arrowette is the daughter of Miss Arrowette, a would-be sidekick to Green Arrow in a similar vein to Batwoman for Batman, that adventured with Bart Allen when he was the super-speedster Impulse before she later joined Young Justice. After Green Arrow’s resurrection, he took on an underage prostitute Mia Dearden as his ward and, after pestering him for a long time, he allowed her to take up the mantle of Speedy as his sidekick and a member of the Teen Titans. Artemis is voiced by Stephanie Lemelin. Built by mad scientist T. O. Morrow, the Red Tornado is an android instilled with the Tornado Tyrant and Tornado Champion of Rann built to infiltrate the Justice Society of America, believing itself to be the Golden Age Red Tornado, and slay the heroes. The android, however, overcame his master and become a hero instead, fighting alongside the JSA and, later, the Justice League. When Superboy, Robin, and Impulse formed Young Justice, they were assigned the Justice League’s original headquarters in the Secret Sanctuary of Happy Harbor with Red Tornado as their chaperone. 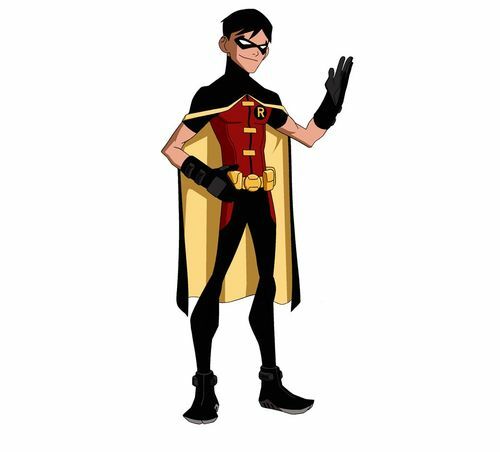 His story is essentially the same in the Young Justice television series save Morrow also built the Red Torpedo (based on Quality Comics’ character of the same name) and Red Inferno (based on Danette Reilly, the second Firebrand) with Tornado as his third attempt with the same goal. 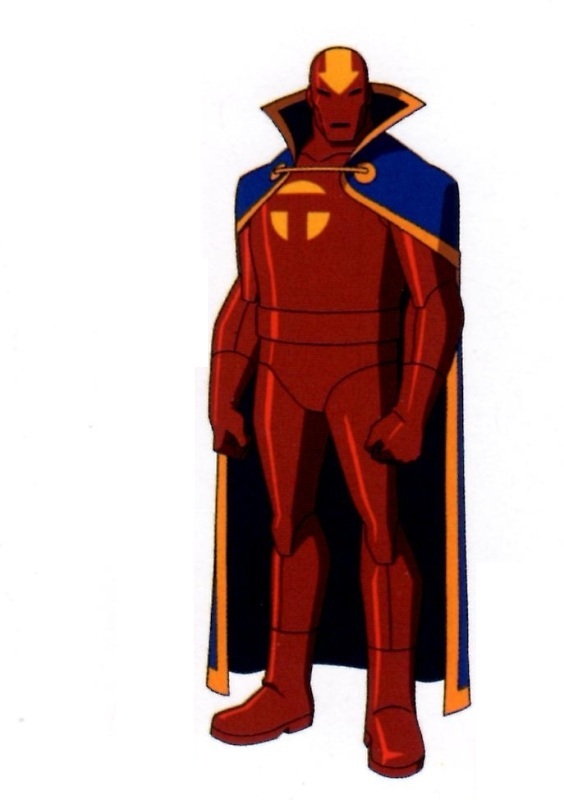 Red Tornado is voiced by prolific voice actor Jeff Bennett.